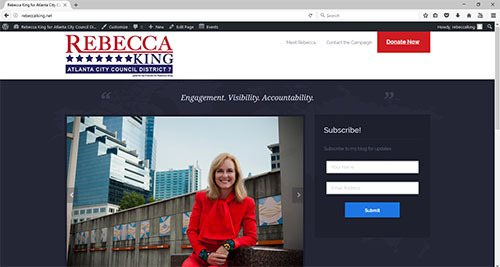 Campaign website for Rebecca King for Atlanta City Council District 7. This website had to be installed and launched quickly due to the short campaign season between qualifying and election day in November. Various features will appear at appropriate times throughout the election cycle.